Artist Suzi Brown takes western theme to the extreme with her uniquely original leather bags. 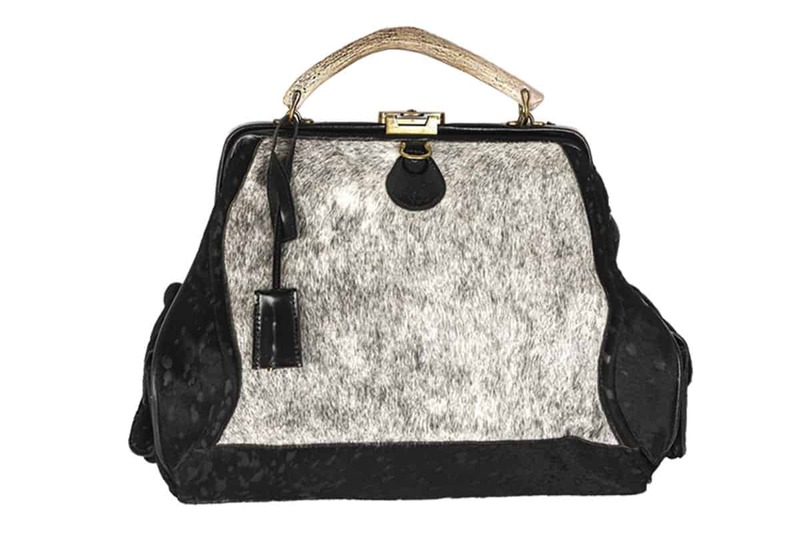 Miss Kitty Doctor Bag, $1,100. Raw-Refined Bags are inspired by the carpet bags of the old west and all made by hand on designer Suzi Brown’s ranch in western Colorado. She uses the finest leather and textiles and finishes each creation with its own unique antler handle. Her custom bags start at $850. 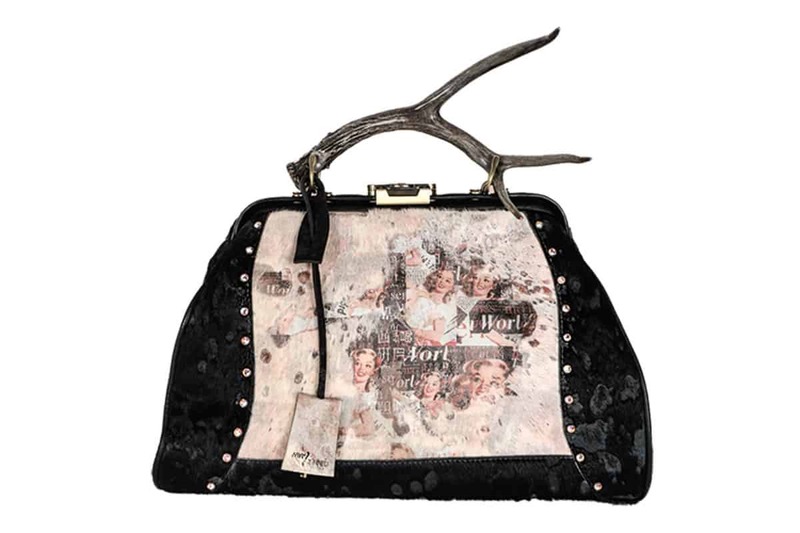 Pearl Hart Weekender Bag, $2,250. Annie Oakley Weekender Bag, $2,700.